Why is Vishu Held on April 15 in Certain Years and Not on Regular April 14? In some years, Vishu is held on April 15 and not on April 14. Why? This is because Vishu is decided based on the transition of the sun from Meena Rashi to Mesha Rashi (Meda Rasi). 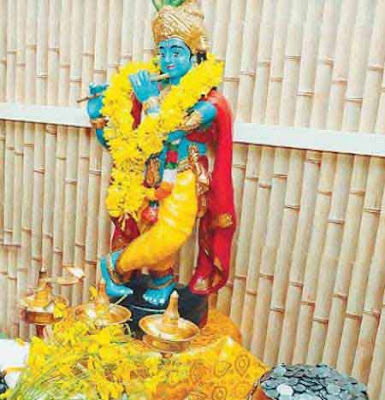 Vishukani and Vishu is observed after the Sun enters Mesha Rashi. Vishu in 2018 is on April 15. This means the transition should take place before sunrise on April 14 to observe it on the day. If the transition is after sunrise on April 14 then Vishu is observed on April 15. Thus Medam 1 in Malayalam calendar will be on April 14 but Vishu will be observed the next day on April 15 on Medam 2. Thus Vishu is observed on April 15 in certain year. But Medam month will begin on April 14 in the Malayalam calendars. The transition of sun is divided in 12 equal parts. Each part is a particular Rashi. Meda Sankramana happens when sun leaves the Meena Rashi and enters Medam Rashi. Vishnukani has to be viewed when sun is present in Medam Rashi. Thus if during sunrise on Medam 1, sun has not entered Medam Rashi then Vishu is observed on Medam 2. In ancient times, Vishu was observed on the day when day and night is equal in Medam month. Today, based on modern government approved calendars it is observed on April 14 or April 15.